We bought a zoo! Interview with real life Benjamin Mee, brave British dadpreneur now famous thanks to a Hollywood blockbuster! Get lost in a real life journey of a man who did the unthinkable and brought a zoo back to life and his family together. Twentieth Century Fox Home Entertainment presents WE BOUGHT A ZOO, arrived on Blu-ray and DVD on 16 July, 2012. A feel good movie, one of the best family feel good movies I have seen in years. 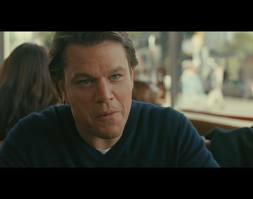 At times you want to cry at young windower Matt Damon, at times hilarious situations make you laugh. It’s definitely a movie for the whole family that teaches you to be brave in life, and that 20 seconds of insane bravery can be really rewarding in life. Directed by filmmaker Cameron Crowe (Almost Famous, Jerry Maguire) and starring Matt Damon (Contagion, True Grit), Scarlett Johansson (Iron Man 2, Vicky Cristina Barcelona) and Thomas Haden Church (Easy A, Sideways), WE BOUGHT A ZOO is an amazing and uplifting story that’s good for whole family. Benjamin Mee (Damon) is a Los Angeles newspaper columnist and adventure writer who, as a single father, faces the challenges of raising his two young children. Hoping that a fresh start and a new life will restore their family spirit, Mee quits his job and buys an old rural house outside the city with a unique bonus feature: a zoo named the Rosemoor Animal Park, where dozens of animals reside under the care of head zookeeper Kelly Foster (Johansson) and her dedicated team. With no experience, limited time and a shoestring budget, Mee sets out with the support of his family and the local community to reopen the zoo. Now, Benjamin is no longer reporting an adventure story; he’s living it in his own backyard. Q: You know the scene with the lasagne? Normally, these things are based on characters who don’t look [the same]. But you look very handsome. Did those things happen to you? Benjamin Mee: Yes, actually. Absolutely. Totally. That was a really strange thing when you are hit by bereavement. I wrote a piece about it. Maybe I was too frank about it. I attracted a lot of attention. I did a few interviews about it. A woman who lost her husband in the UK found a similar sort of experience. When you are bereaved it is like you are mortally wounded and women like that. They see not only are you vacant, you are a proven breeder, you are wounded and they want to take care of you even to the detriment of their own relationships. It is a really odd dynamic and I found about three or four guys, not personal experience, but I put some feelers out, who said exactly the same thing. One guy said his cousin’s wife was all over him at this wedding repeatedly. She had to be dragged off. It doesn’t happen now at all and it is not because I have found a girlfriend but I don’t seem as mortally wounded by it. There is some sort of pheromone thing, a hormonal thing. It was not every woman. It was a strange thing. I was quite surprised by it. The thing is that you are so inside your shell that you don’t really care. You are just looking like this at things: “Oh, she’s hitting on me. Really? Oh. Ha.” It is quite a bitter, sweet, thing. Q: What do you think about the movie and how much is true? Mee: I haven’t seen it. I could have seen it. I haven’t avoided seeing it. I just haven’t seen it. I read the script when Cameron had finished his proper draft that he decided to go with. They consulted me beforehand on the timelines and the way that it would go and reading the script was actually like seeing a film. You knew the characters and you could picture them. There’s Scarlett Johansson and Matt Damon and by the time you finished it it was like seeing a film. Q: You don’t picture yourself? Q: Is it your story? Mee: Yes, it is. The essence of it is absolutely there. The chronology is different because in real life we bought the zoo and then very soon after my wife died and then we had to get it open. But if they made the movie about that then that would have been the focus and it would have been a totally different film. They wanted to make a film about the regeneration part which is what we found at the zoo was that it gave us something to bring us out of ourselves. In the immediate aftermath of my wife’s death the zoo carried on. The keeper’s came and they were feeding the animals and some thing died and another thing was born and it put it into perspective. Q: Was it a tiger and peacocks? Mee: No… the Spar thing was before. Mee: Ooh, yeah. That was a big thing. That was the first decision. I don’t know quite how they play it in the movie but there was a point where I thought Spar – a lot of people give you a lot of advice in this situation. I have to take it because I don’t know what to do. One of the old zoo directors who would take me on said you should shoot Spar as soon as you get there. He had arthritis in his back legs and he looked unsightly. The animal rights people would say that you are keeping an animal cruelly alive and the public don’t want to see a wobbly tiger. I would say, I like Spar and he’s a tiger. You don’t just shoot a tiger for aesthetic reasons. I talked to the vet. They said no, he’s not. They said his leg had fused into one position so he limped. You think a limp is pain but in fact his leg was just a different shape. OK, so he’s not in pain and he’s fine. We don’t need to shoot him at all. Then he started to get bedsores from lying down too long. That seemed to be an indication that he was struggling. I thought it was probably time and I talked to the vet and said, maybe we should do this. And I cut my finger quite badly on the day that we noticed the bedsores and after three days my finger was still throbbing and not healed. His bedsores had gone. I was thinking he’s got a good immune system, this cat. He’s got a better immune system than I have. Maybe we need to rethink. By that stage a lot of the keepers had said, “But we’ve all ready got used to the idea that he has got to be killed”. And I said, “That’s not a good reason to kill a tiger, is it? Because we thought it was going to happen on Wednesday.” So there was this whole thing, you don’t know. But actually, I care. Proper zoo people are very used to animals being euthanized and moving on to the next one. Not in a cruel way but in a way that… at the moment we have three tigers that are non-breeding and a lot of people have said to us, these three tigers, non-breeding, shoot them all and get tigers that are breeding. Q: Really? That’s how it works? Mee: Yeah. Well, it can be. Well, it was my decision not to. I said, we bought this zoo with these tigers in them. I feel responsible for all the creatures that are there and I don’t want to just shoot them for convenience or for any other reason. I’ll let those guys live out their lives. They’ll be there another eight or so years, they die of old age at age 18 or 19. 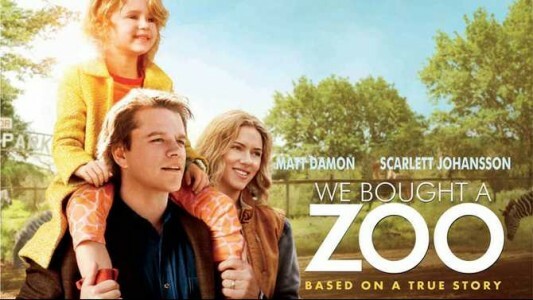 Q: Matt Damon is saying in the movie – or you – that you bought the zoo because of why not? Is that true? Mee: In a way, yes. Not quite as flippantly as why not. I could think of a load of other things to do instead. It was partly that everyone was saying, “Don’t even think about it.” And I was saying, “Well why not? Why is it insane? Which bit is insane?” And they would say, “Well, you have to get up early to feed the tigers…” Well… maybe. That’s not so bad. And actually other people do that. Oh, well what if they don’t turn up for work? Well, what if anyone doesn’t turn up for work? The next reason and the next reason. And people say, well you can’t do that. Eventually I had answered all the why nots and there wasn’t anything to convince me not to do it. Mee: People are very cautious and like stability and normality. My nightmare is if I woke up in suburbia and came out of the house and everyone was cleaning their car on a Saturday and there’s my car and I need to clean it. That would be it for me. I was living in France, in some barns, writing a book about animal intelligence, and that for me, wasn’t suburbia. That was fine for me. It was interesting for me. So I didn’t see the zoo as a particularly wild and crazy thing. I had established it could work and the council said that if we had a particular kind of business plan it could work. If we could raise a certain amount of money, which was extremely tricky, we could probably pay for it. If the sun came out in July and people came up the drive… and I said, I think we can do this. Plus, my secret weapon, I thought, was I could write a book. I can write articles in the newspaper. It is so interesting. The daily stuff that you have to do is interesting. I have been amazed. I tried to get a column all the time. This week I’ll submit them. They thought, it’s not lifestyle, it’s not environment as such, there’s nowhere to put it. But they did publish a book and that got made into a film. And that was, what? How did that happen? Q: How does that process work in your mind? You can write a book about your life but then someone else comes and takes your story and there’s Matt Damon pretending to be you. Mee: Yeah, it is quite freaky. I don’t underestimate the weirdness of it and how it’s going to be for me sitting and seeing that film about that bit of my life, which again has been changed and dramatized. People will leave the film crying who have no stake in it. Q: Would you have vetoed any choice playing you? Like Tom Cruise playing you? Mee: He’s just not tall enough [laughs]. I couldn’t have the authority to veto anything. They very kindly asked me for a list of people and when the top of the list actually said yes I was absolutely blown away. Q: Did the zookeeper look like Scarlett? Mee: Who looks like Scarlett? Come on! Q: Is there a romance between you and your zookeeper? Mee: No. Not a single thing. Q: If people question why there is a need for zoos in general, how would you argue? Mee: I would be happy to talk to anyone about that. The animals should live in the open but there is no wild left for a lot of the animals that are in zoos. An example that we are getting quite soon is fishing cats from Burma. They wade around in the water, and they dive in, and they live in mangrove swamp where there’s a lot of waterlogged ground. They need to have running water near mangroves. Unfortunately, the mangrove swamp areas are brilliant for growing rice, so you cut down the trees and you grow rice in the waterlogged field. That dynamic is a one-way ratchet that has been going on for 50 years and it so going to carry on carrying on as that part of the world expands. Everyone wants rice in South East Asia. The rice price goes up and where are the cats going to live? The only place for a lot of the animals like that is in captivity. The logging on the Amazon means the habitat is criss-crossed with logging roads, which means they are either hit by trucks or poached or actually shot by people in self-defense by people who actually farm in the forest. If I had a farm and there was a jaguar anywhere near I would go and kill it myself. That’s a total sad reality. I think in the next few decades there just will not be these populations of animals in the wild and there will only be in zoos. People will be very thankful zoos have tried so hard to breed them. Q: Do the animals in your zoo recognize you? Mee: Oh, yeah. I touch them all the time. If you put your hands through you are tempting fate because they are so strong if they turn their heads they will just snap your fingers. That nearly happened a few times. The other day, Vlad, my favorite, a big fella, I was talking to the photographer from a newspaper and they always want you to feed a dangerous animal meat while not looking at it. You want to look. Even the little things that can bite you, you want to know when to let go. And they say, “Just look at the camera!” Anyway, I was stroking Vlad and suddenly – yank! – he had got my coat for the first time in about five years, he pulled and he yanked the collar through. He was just playing, he is just a big pussycat, but I thought, well, actually, you could argue that this is dangerous… I was more worried that he was going to choke on the little toggle. He got a great picture and I sent it to the makers of the jacket. It says breathable, waterproof, and I said it is also tiger proof. It came back with no hole in it. I was really amazed. Q: You are in the movie in the end? Mee: Yes, we were on the set and Cameron said, “You’re in the scene”. I had hoped that would happen, that we would be in a crowd scene, like “Hello mum!” in the distance, but he put us quite prominently where the tree falls down. We are the first in the queue. It was like a whole day to film that. We had to do reaction shots and everuthing. It was proper acting. They get up on the tree and say, “Where is everybody?” and we had to stand with the couple next to us and say “What, who’s this? !” again and again. And it was like, “Oh, they’re here!” [Laughs]. It was quite hard work you know. Q: Was it surprising being an actor with Matt and Scarlett? Mee: I totally thought that if we were in it we would literally just be standing buying a ticket and moving on but we really did have to do this talking and doing it for a second time and be reacting. It was surprisingly hard and also, at one point, it breaks up at each take and you go away and come back, and the script writer Aline Brosh McKenna had come to find me and she showed me her book, a copy of my book that she had written from, with all the bits underlined and she wanted me to sign it. She got pretty emotional and cried and of course that sets me off… and, well, you know, it is quite a tough job that they do there. Q: How do you think this movie is going to change your life? Mee: My life in the past five years has been entirely abut this zoo and getting it going and keeping it going and it’s very hard and every year you just make it. We so nearly closed lat year because the banks withdrew their support in the middle of the recession. The government is saying here is some money to bail out the banks, lend it to small businesses and the banks don’t just not lend it they say I notice we lent you some money can we have it all back now? Actually, we need more to get through this. No. We need a Christmas party. We have really good Christmas parties at our bank. Same with the tax. The Inland Revenue in our country spends GBP170,000 a year on bottled water. And that is how much we paid in National Insurance last year. So our zoo kept Inland Revenue in bottled water last year and you think – you bastards. Anyway, that’s another thing. The struggle of keeping the zoo going is a constant thing and whatever the effects this film has on me as a person which I am sure will have plus and minuses, the zoo should benefit. I just want it to be free of debt so that we don’t have a mortgage to pay, it is always going to incur expenses. Q: Have you had any animals since you bought it? Mee: Yes we have. We had the cheetahs, which are expensive to maintain, some lynx, some very interesting birds, we’re getting zebras, and Japanese Macaques, the ones that sit in the rock pools with icicles on their faces, monkeys and little monkeys, tamarinds, that sit on your shoulder. Q: Do you go to zoos everywhere you travel? Mee: Well, I don’t travel much except to other zoos. Luckily the children still seem to quite like that. As long as you buy them a toy in the shop they are quite happy. I have seen a lot of zoos. It is nice going around with those guys [his kids] because they see things and say we should do that. It is funny going around a zoo with a zoo professional. You don’t look at the animals at all; you look at the fence and the enclosures. The infrastructure. It’s a bit strange. Q: That inspector from Hell. Was he a real inspector? Q: And animals do escape, right? Mee: It wasn’t a bear. I had a tiger… but the bear escape is based on the jaguar and a wolf and a monkey. The jaguar was let out by an incompetent junior keeper. He was trying to clean out the pen. The idea is that you lock the animal in the outside enclosure, shut the door, lock it and then you can open the inside and clean out the house. You are supposed to do this with two people because it is so dangerous. You never do it on your own. It is a two-person job and he thought, “I’ll impress my manager by doing it myself”. But he didn’t know the procedure. So he shuts the door, doesn’t lock it, opens the inside door, and starts cleaning. The jaguar has waited eight years for someone to make that mistake. He knows. He heard, door shut, didn’t lock it. He comes through, didn’t kill the man, amazingly, and we found him with a grass stain on his head which showed he had been pushed out of the house about ten feet and ran past him, ran free for 20 yards where if he had gone left he would have run onto the picnic area where the kids had been playing a few days before and he would have stopped and eaten them or he could have gone onto the moor where he would still be today because, on Dartmoor, you would not find him. Or into the village and killed a load of people there. Instead he turned hard right and jumped into the tiger enclosure to fight the tigers. That was another part of his eight-year plan. He had been seeing them though the fence saying I will get you one day! It looked like they were going to kill each other but we managed to get two of the tigers in very quickly but unfortunately by the time I got there he had jumped onto its back. It’s 200 kilos and he is 100 kilos and you can see him thinking, “Hmmm, I’ve come this far I’m going to give it a go…” and he jumped onto the tiger’s back and everyone is there and they have this huge gun that will kill and elephant and they are saying shall we shoot him? And I’m saying let’s not shoot anything yet. Luckily the tiger turned and whacked him across the head, he spun off like a little toy and all four legs were off the ground. He lost all interest then in fighting the tiger. The tiger luckily didn’t come and finish him off. She stayed up on the rock. Well, we have to get the tiger in the house or we will have to shoot one of them eventually. Q: You mean kill them? Mee: Yes, well there was no dart gun. They said there was a dart gun but there wasn’t. It was broken. I said, let’s get the dart gun and they said, dart gun don’t work for 17 years. And Kelly, the real Kelly, said she doesn’t like men and she doesn’t like being shouted at and she had been shouted by men a lot – a bad regime – so she said to get all the men on site to shout at the tiger. I’m thinking this is so not going to work but we did. We got about ten of us there, including an IT guy who had com to quote for a computer system – Stand there and shout at that tiger! He said that without doubt that was the most exciting visit he had ever made to a site. Within half a minute her ears went back, her tail had twitched and it was like you had squirted water on a domestic cat. She just jumped off and went into the house. Plonk. And I thought, well done Kelly. Mee: There is a person called Kelly but the things that the Kelly in the film does is probably a composite of about three people all together. This entry was posted on Sunday, July 22nd, 2012 at 9:22 am and is filed under Blog, Mumpreneurs & Mums at work. You can follow any responses to this entry through the RSS 2.0 feed. You can leave a response, or trackback from your own site.